A reader who took a special interest in the Ceres Plantation story a few weeks ago headed over to the state archives building to do a little digging into the history of the place. After picking through the WPA records for Warren County, he found a little nugget in the “Antebellum Days” file (not in the “Historical Buildings” folder as you might expect–those WPA records are somewhat random) titled “Architecture in Vicksburg and Warren County” and written by Vicksburg architect William A. Stanton. W.A. Stanton–sometimes confused with his father William Stanton, a master builder and architect in Vicksburg in the late 19th century (and builder of Speed Street School, may a pox be upon its destroyers)–was one of the first educated native architects in the state, if his claim to have graduated from Cornell holds up: his designs include the abandoned Carr Junior High School (1924) and the dormitory at All Saints School (c.1930), in addition to the sweet little book club building in Tallulah, across the river in Louisiana. The major portion of the pre-Civil War architectural examples of Warren County and Vicksburg was destroyed by the army, or has disappeared through the process of decay or have been destroyed by fire. There are scattered throughout the county several residences that are remarkable in some respects. As was the custom in the Colonial period of development, the owners of the plantations named them for some particular idea they had in mind, either for a family incident and historical reminiscence, or from the Greek or Latin ancient literature. Among the outstanding houses in Warren County outside of Vicksburg, perhaps the best example is that of “Ceres”, a plantation now owned by Mr. Grey Flowers, of Vicksburg, who is a descendent of the original owner and builder. Like the majority of the buildings of this type, the floor plan consisted of a large hallway open at both ends and large doors with side lights from transoms, with two rooms on each side of the hall open thereunto. In this particular instance the parlor, dining room and kitchen are on the east side of the hall and two bed rooms on the west side. In the hall on the east wall there is a stairway leading to the half story above, which consisted of two rooms opening into a hall with closets and store-rooms. These rooms and hallway were lighted by dormer windows on the north and south sides, and by other windows in the east and west gables. The roof is a double-slope with gables each and west and one common ridge running the same direction. on the north side of the first story is a wide front porch extending entirely across the front of the house, which is to the north. A kitchen porch is at the rear between kitchen store-room. The main roof covers this porch. The original columns of this porch have decayed and been replaced. The roof has suffered the same fate, but has recently been repaired. The chimneys above the roof are beautifully finished out, and the brickwork of which they are made, is in wonderful state of preservation. “The floors of this building are still in tact, and although it was built one hundred years ago, it is in a very serviceable condition. The walls were all plastered on wood laths split from oak timber and finished in pure white lime and plaster finish. A large portion of the original plaster is in place but has been badly cracked because of the delapidated condition. The stairway leading to the upper story is exceedingly simple, handmade with square balusters, and even after a lapse of a century sows no sign of decay. The most peculiar and unaccountable thing about this residence is that the mouldings of the door panelling is in such an excellent state of preservation. All these mouldings were made by hand, the doors made in the same manner and even now after being exposed to weather, heat, cold and rain, for a number of years, one cannot insert a knife blade in any of the joints. It is most probable that agreeable to the custom of those days the paint was made from pure white lead made on the premises and mixed with pure linseed oil. The original paint is still open these doors and finish and upon the outside weatherboarding. The building is entirely of wood construction made out of hand-hewn timbers of enormous size and the structure put together with wood pins and a few hand-made nails. These nails were, according to tradition, made upon the premises by the slaves of the owners. It is a pity that this building is so inaccessible to the public. One has to go east of Vicksburg about ten or twelve miles to Bovina over Highway80 thence north to the site over a dirt road that is inaccessible practically, except to ox-teams in the wet seasons. A former resident of this house planted a few pots of wild orange for ornament and placed them in the front yard. The fruit fell to the ground to the roots and produced and intensely thick growth of thorny bush of wild orange that was only recently destroyed after a great deal of labor. The present owner, Mr. Grey Flowers, used the residence chiefly as a hunting lodge but has erected barns and other farm out-buildings so that they may be brought under more intent cultivation and made to pay some dividends. Stanton only describes two other Warren County (as opposed to Vicksburg) houses in this 3-page type-written draft, “Yokena” and “The Burn.” I don’t believe either of the antebellum structures at these plantations still exists (I may be wrong–not an expert on Warren County). I was surprised to hear the roof described as a “double-slope (which I think of as something like the two bottom houses in this drawing at Mississippi History Now). The roof’s current configuration is a simple gable roof, with an undercut front gallery–could it be that this gallery was originally under this double slope? The oldest pictures I’ve seen of Ceres date to the 1970s, and at that time it had a simple gable like it does now. Maybe the roof repairs Stanton mentions included getting rid of that sometimes problematic inverted ridge? Rear elevation of Ceres, showing the enclosed rear porch for kitchen to right, and what Stanton seems to be describing as a kitchen-storage to the left. He seems to be describing a rear porch configuration that was already mostly enclosed, as it is today, with a kitchen on one end of the porch and a storage room on the other end, and a small undercut porch between. I had assumed this was a later change (at least later than 1930s). I admit when I visited the house a month or two ago, I peaked under the house to look at its timbers–a nerdy habit of mine–and I know I saw circular-sawn timbers, not hand-hewn. Now I’m wishing I had looked in several locations, not just the front, because I’m wondering if I saw a later repair rather than the original hand-hewn wood that Stanton describes. What I saw looked old though, so I’m a little confused by this description. Stanton clearly describes dormers on both the front and rear slopes. I was under the impression that one of the reasons the house had been declared ineligible for the National Register back in the 1980s was that the dormers had recently been added. In fact, it appears that the house originally had dormers, maybe lost them in the 1930s renovation, and then got new ones in the early 1980s. These settlers were members of the Presbyterians Church, serving God in their quiet, unobstrusive way and were not given to the festivities except upon special occasions that the owner of “Ceres”, who were Episcopalians and Methodists indulged in. Take that, you wild Episcopals and Methodists! Thanks to our helpful MissPres reader for finding this nugget and passing it on for us all to read and ponder. Perhaps my innate optimism is getting the better of me, but I still have hope for Ceres, and this analysis by Stanton shows that even as far back as the 1930s, Ceres was considered an “outstanding house” in the countryside surrounding Vicksburg. I’ve heard that a petition asking that Ceres be preserved has collected over 2,000 signatures in the last month, so I think there’s still public support for the place, even if the editors of the Vicksburg Post have fallen for the Warren County Port Commission’s story about needing the site for some unknown future development. Couldnt pass up on the comment about those WILD Episcopalians and Methodists gone wild ! talk about a rowdy bunch . those are unique and valuable drawings of the house project if they are the originals. Quite interesting. Thanks for taking the time to do all of this research. 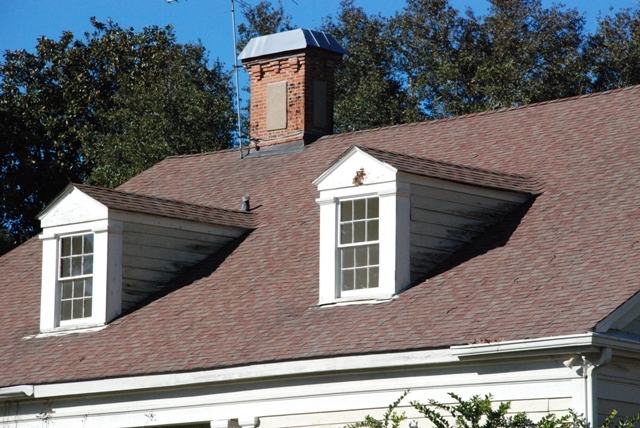 We have restored the metal roofing on several older plantation homes, but have never discovered the funding sources. are these funded locally? with matching funds?I am very interested in saving these historic structures. There are only a few funding sources in the form of grants out there, mostly through the National Park Service or the state historic preservation office (in Mississippi, that’s the Dept. of Archives and History). But most major preservation projects that aren’t public buildings use the historic preservation tax credit, which can return 20% of the cost of the project in federal income taxes and 25% in state income taxes. For big projects like the King Edward, that credit can get well into the millions of dollars, but it can also help small business owners and even private residences, like the Ceres building. Oh, and welcome to MissPres–glad to have you around! I went to Ceres about a month or so ago to take pictures of the property and we went around the no trespassing sign and stayed for a few hours without anyone bothering us so if anyone wants to take pictures go right ahead! The house is wide open by the way! So you can walk right in! They have torn down both barns now and i got quite a few pictures of them. Im going back to take pictures of the inside of the house soon.. I have a facebook page “Kayla M. Boler Photography” I will be posting my ceres pictures pretty soon if anyone would like to see them. It kills me that they are taring the place down… They preserve everything old in Vicksburg but the one truly beautiful place in Vicksburg they want to destroy. I read somwhere else that they just dont have the money to keep it up. Bull *&^%. They havent spent a dime trying to keep it up. I saw the entire place and it hasnt been touched by human hands in years. If its land they want then why not go across the road from the house? Ceres is a huge plantation. Full of wide open fields and as far as the industrial buildings go.. I dont remember ever seeing a car parked in front of that thing. There has been a for sale sign on a bilboard right in front of it for a very long time. I guess they want to keep the entire place together but is a industrial business worth destroying a place like that over? Sell the house with the pretty fenced in land together and then the rest sell it separate so the house can live on for another 200 years. If I win the lottery im buying that house. Correct me if I am wrong but I believe that Yokena is in Mary Carol Miller’s Lost Mansions of Mississippi. I do not have the book with me to varify (it is in Alabama with the rest of my library) but seem to recall the name. If I am correct, the owners of Yokena were pioneers in the large-scale growing of fruit, not cotton. However, I could just be mixing up several plantations in the book and applying the information to Yokena Plantation. Well, I figured I would check the book tonight at home, but now I realize I must have it at my office. I think you’re right though–will check tomorrow. Times like this–and I feel heretical saying it–I wish I had a Kindle. Kindle would only be useful to me since I cannot move several thousand art, architecture, and history books (among others) from Alabama to Mississippi several times annually. I feel that the art and architecture books, most of which are around 9×12 or larger, would lose something when seen on such a small screen. Also, I simply feel that electronic books lead down a bad path. I agree with Sherman Alexie, if electronic book devices like Kindle become widespread, it could lead to those from lower economic strata being deprived of reading. Kindle costs $259.00 plus $9.99 per book. It does not take a genius to know who can and cannot afford to read a those prices. I agree about the Kindle. I recant all that I have said in relation to it and its heretical charms. Plus, isn’t there some sort of time limit, like you’re really just subscribed to the book, not the owner? Or maybe that’s with one of those other ones. I have rejected the iPod for the same reason. Whenever CDs stop being produced, I’ll just start humming to myself more often I guess. I managed to get a hold of a copy of Lost Mansions of Mississippi. Looks like I did mix up features from multiple plantations. LaGrange is the antebellum house I mentioned with the extensive orchards. There is not a “Yokena Plantation” in Miller’s book, but there is the Hyland House in Yokena. According to Miller, it overlooked Highway 61 from a ridgetop until the 1970s. 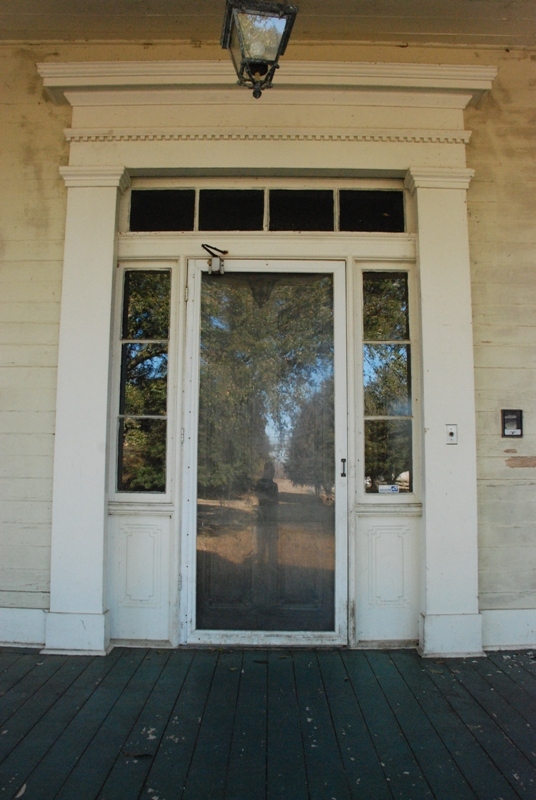 Before its demolition, such architectural features as silver door knobs had already been stripped from the house. My name is Leigh Hyland and my family owns the land that the Hyland House was built on-we did in fact have the house torn down in the early 70’s. Some of the timber was used when my parents redid their current house. It is listed in “Lost Mansions”. The farm is actually named Loosa Yokena Plantation. We received the farm from Gov. Gayso in the late 1700’s. The church was also built on the farm-Yokena Presbyterian Church. Hi my name is Nia and my grandmother is Gloria Hebron her great-grandfather owned the LaGrange plantation. I was wondering if you know any more information about it. I think the “Hyland House” and “Yokena” are one and the same. Mr. Stanton’s description of the “quiet, unobstrusive” Presbyterians was of the Hyland family. There’s also the Yokena Presbyterian Church, where these quiet folk worshipped, designed by William Stanton (the daddy) and listed on the National Register. At least it’s still standing–maybe the only thing out there that is. 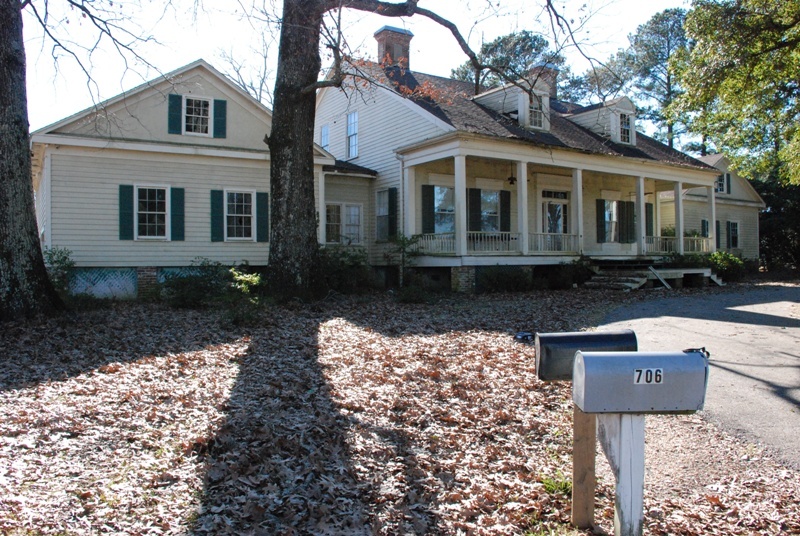 Will Branch Antique Lumber, of Bogalusa, La., is Warren County’s choice to take down the Ceres Plantation House, which officials said Monday could begin within three weeks. On Monday, the Board of Supervisors OK’d the company’s low bid to demolish the house, two barns and fences on the 40-acre property at Ceres Research and Industrial Interplex. Port commissioners recommended the firm after its $29,700 offer was lowest of 10 companies who sent in bids. The company specializes in taking structures apart slowly, sometimes one brick at a time. In 2009, the company took down the former Speed Street School after it was condemned by the city, and the structure’s private owner chose Branch for the job. Branch said “the bricks to the fence” will be recycled for use in private homes with which his company deals. 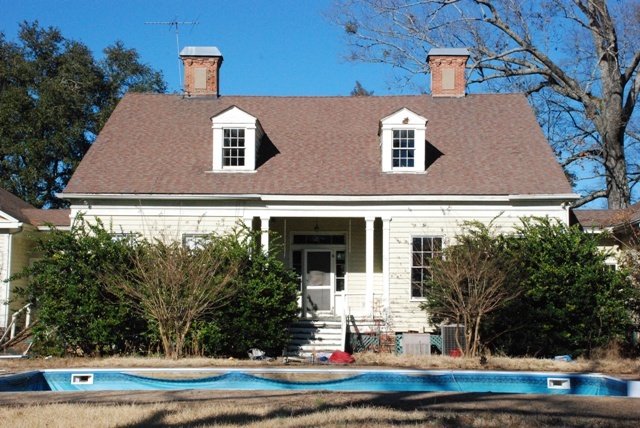 Built in 1830 by the Flowers family, the house and surrounding land and structures have been eyed by the county and preservationists since it became part of the industrial park in 1986, for different reasons. Ridding the 1,300-acre park of the house has been a goal of port officials since the last private tenant moved out in 2009. A plant nursery had operated there from 1998 to 2007. In 2010, the Mississippi Department of Archives and History denied an effort to have the house declared a Mississippi Landmark after the agency concluded not enough of the original architecture was left, among other factors. What would be required to save the house and the outbuildings? Would the current owners be willing to sell the site where the house and buildings sit? The Warren County Port Commission has had it out for Ceres since they acquired the property back in the 1980s. They made it impossible for businesses to operate in the house and grounds with their requirement that they be ready to vacate the property with 60 days notice if something better came along. What business is going to achieve any long-term profitability or be able to invest in their property with those terms? Then, after the nursery and garden center moved out a few years ago, the Commission threw up their hands and said, “See we can’t keep this place rented out!” All because the property is at the intersection of I-20 and the Flowers exit and they see big visions of a new interstate exit coming straight through Ceres to get to their half-vacant industrial buildings. This starry-eyed dream that apparently is nowhere on MDOT’s radar. But doggonit, it’s got to come down! So, my short answer is, the Commission has worked long and hard to get to this point, all because they want the land, and they have no interest in selling the site. They have tried to get someone to buy the house and move it, but that’s an expensive undertaking, given that it has to go out onto the interstate to move. I stopped by today and wanted to take some photos but it was impossible to get a glimpse of the house since the trees in front of it are very overgrown. The driveway is posted “No trespassing by order of the sheriff”. That was very nice of you to go to that trouble. It appears that someone has an agenda to destroy this property no matter what. I have no idea why either. It must be something that whoever is behind it does not want to be found out. It seems so irrational to destroy an 1830s property. Its as irrational as two Vicksburg airports being funded with taxpayer money and things like that. iN LOOKING THROUGH SOME OLD THINGS THAT CAME INTO MY STORE i FOUND THE ORIGINAL DEED FOR THIS PLANTATION. WOW!